There has been a lot of price rises in Insurance recently which are totally out of our hands, But we do check our whole markets to make sure we offer as competitive deals as possible upon Renewal or for a New Quote. If you would like me to look at your policy and see if there is a certain reason for the increases etc, Please just PM me your Name and Postcode. Thanks for the welcomes, If anyone would like me to note their file to show they are a member of this forum and to see if I can get the discount applied or noted on the file for renewal I will need the following info. Name and Postcode and Forum Name. 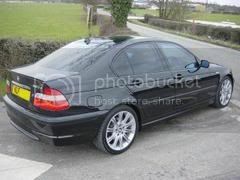 I had a bmw 528i with mods then changed car to a vw golf 1.8T but the price stayed the same, why is that? Welcome to the forum. Many thanks for your help! Im sure you will be a great source of help as we often get insurance related questions! Mr Sideways wrote: Hi dan. It could be that the Insurer you were with was a specialist for the BMW but was not able to be as competitive on the Golf but rather then you starting a fresh 12 month policy they did a Change of Vehicle. Come Renewal we will be able to compare the whole market and offer you the best price. If you would like to PM me your Name and Postcode I can locate the file and have a proper look at it for you. Thanks for inviting me on here! 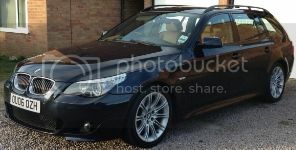 Dan@Adrian Flux wrote: If you would like to PM me your Name and Postcode I can locate your file and have a chat with your Insurer and see if they will allow the discount as you have recently just started your policy. If you would like me to arrange a callback for a Quote, I will need the following information. I can then arrange the callback for you. Our Offices are open 9 till 7 Monday to Friday and 9 till 4 on Saturday and closed on Sundays. I had a call from Adrian Flux, and was told no discount available for this "club", and no further discount available for me! Cozy wrote: and was told no discount available for this "club", and no further discount available for me! Dan can you look into this for us please? They just dont like you andy! Cozy wrote: I had a call from Adrian Flux, and was told no discount available for this "club", and no further discount available for me! I'll certainly look into this.